This Zoolander 2 teaser is so hot right now! A day after it leaked online, the official teaser trailer has landed for the long awaited sequel to Zoolander, aptly titled Zoolander 2 (or is that 2oolander?) 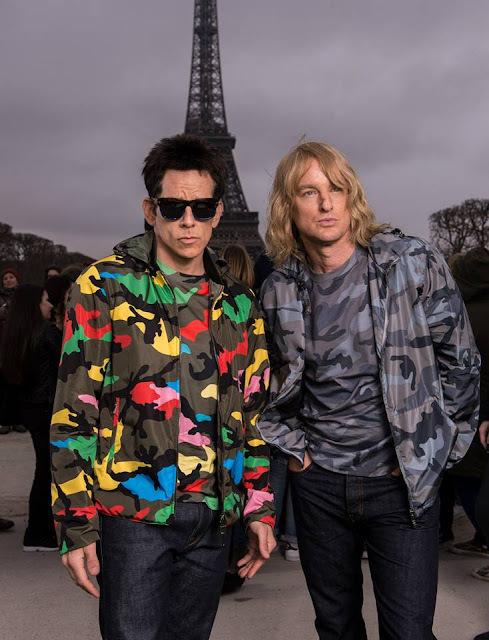 For fans of the original (if you're not raise your hand slowly and go and stand in the corner facing the wall) the teaser offers us an insightful look into the very mind of supermodel Derek Zoolander (Ben Stiller). We travel into his tiny brain, ably navigated by the voice of Stephen Hawking as we discover its inner workings...for example what a eugoogly is and that 3+4=34. Plot details are scarce but Stiller (who's also directing) has revealed that it's set ten years after the first film and mostly in Europe. Of course Owen Wilson is back as fellow male model Hansel (fingers crossed for a walk-off) and the cast also features Penelope Cruz, Christine Taylor, Kristen Wiig and Cyrus Arnold (as Derek Jr.). Mugatu (Will Ferrell) is also making a no doubt highly-coiffed appearance, along with a host of so-hot-right-now cameos from Justin Bieber, Kim Kardashian and Ariana Grande to name a few. Let's hope they don't get the Black Lung...*feeble cough*. The Movie Bit: This Zoolander 2 teaser is so hot right now!